I guess they don't want to risk it or don't trust ya or something. I once got the excuse from someone that his Paypal doesn't allow him to ship Internationally. Ehh, knowing my parents I'm gonna guess there's tons of people like them that don't trust anything/one at all. ^I feel ya on that. Looking forward to 'em whenever you get around to it! Got these a few days ago. 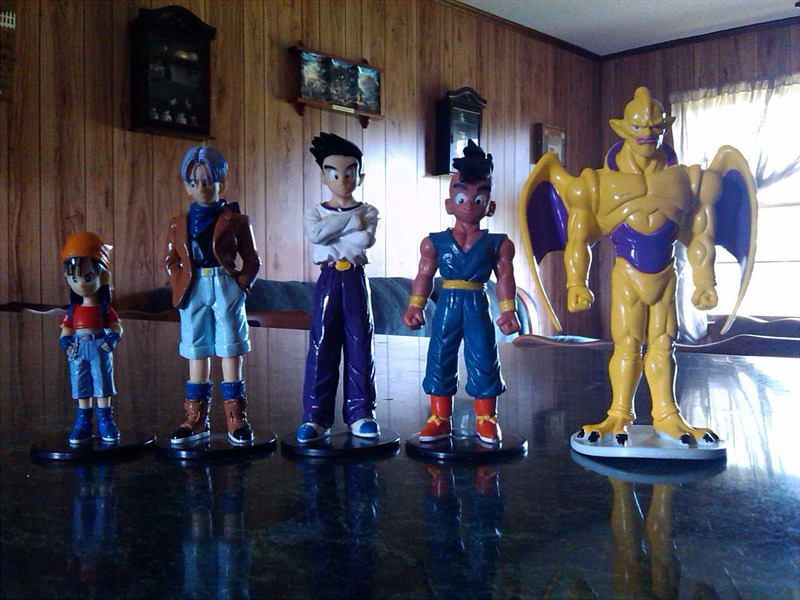 Pan, Trunks, Goten, and Uub are Editions Atlas, and Nova Shenron is DeAgostini. Wow, that DeAgostini Nuova is pretty cool; I've been searching for a DeAgostini Eis myself. 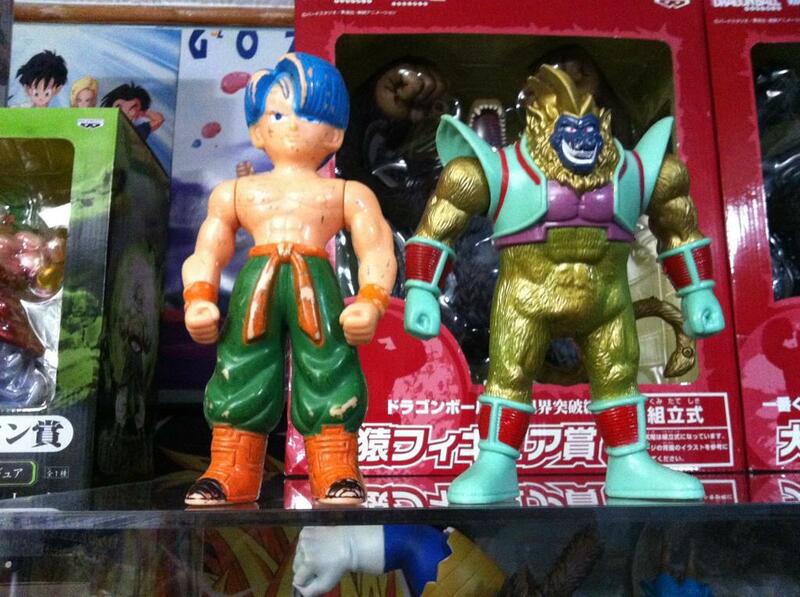 It seems to be very hard at the moment to find any of the GT Shenrons from any company. That's because gt figures are not really being produced as much. There is so much hate for GT lol. Even if the show wasn't as good it still produced some awesome character designs. Yeah gt gets no love. The dragons were cool though. Just not a lot of figures produced. The idea of the Shadow Dragons was very neat, as were Baby, the tuffle and Super 17. They just lacked good plots. 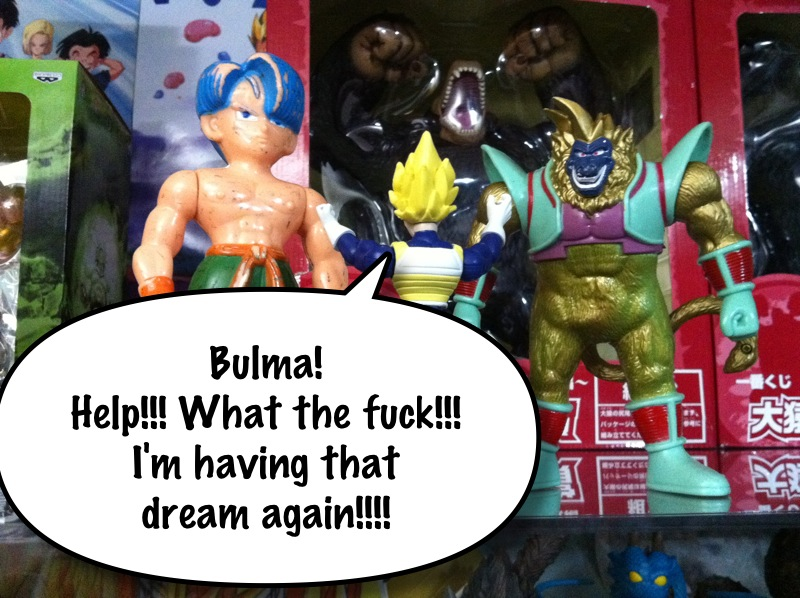 That would be the last DeA Shenron I need as well, lol. I like GT and many of the new characters it introduced, but I agree that the plots could've been better. Thanks, got him in my Watch list. Also, if you do decide to get it, he'll probably cut you a deal if you ask. I got it for $25 including shipping, you might even get it cheaper. I appreciate the tip, thanks! And your probably like "uhhh.... Neat Caps. You got an sbc trunks that's been beat to all hell and happens to be shirtless"
And then I'm like "correct... but an sbc Trunks ON STEROIDS!!!" Yeesh! Kill that monster already! Hahaa yeah, He was dirt cheap. 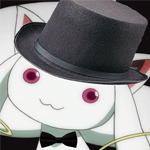 I just magic erasered the hell out of him and to be honest I kind of like him. 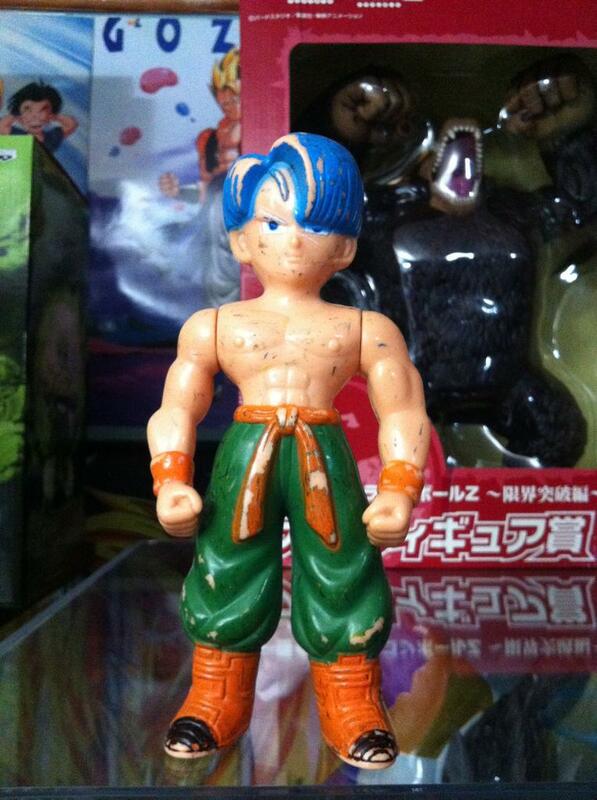 Sure he's completely absurd and monstrous, yet a virtually exact replica of SBC kid trunks. I've decided I'm going to try my luck at giving him a full repaint, and if he turns out nicely, he'll earn himself a permanent spot in the collection. He's just too freaking weird to not give a chance.